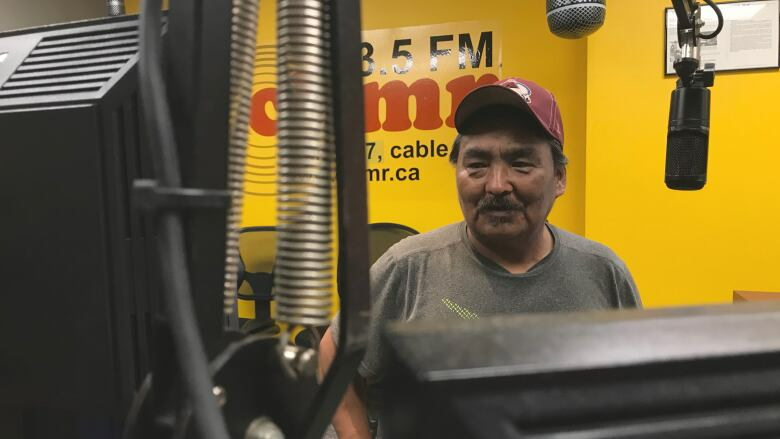 Angus Andersen's radio program NunaKakKaasimaju: First People, First Occupants has been removed from the schedule of Memorial University's campus radio station CHMR as the school's student union conducts an investigation into his online behaviour. A well-known Inuk activist's radio show has been pulled off the air following accusations of sexual harassment online. Angus Andersen's radio program NunaKakKaasimaju: First People, First Occupants has been removed from the schedule of CHMR, Memorial University's campus radio station, as an investigation into his behaviour is conducted, said an official with MUNSU, the school's student union, on Saturday. A notice about the show's removal was also posted to the station's website. Andersen's radio show features music from Indigenous communities across the world and is broadcast in both English and Inuktitut. 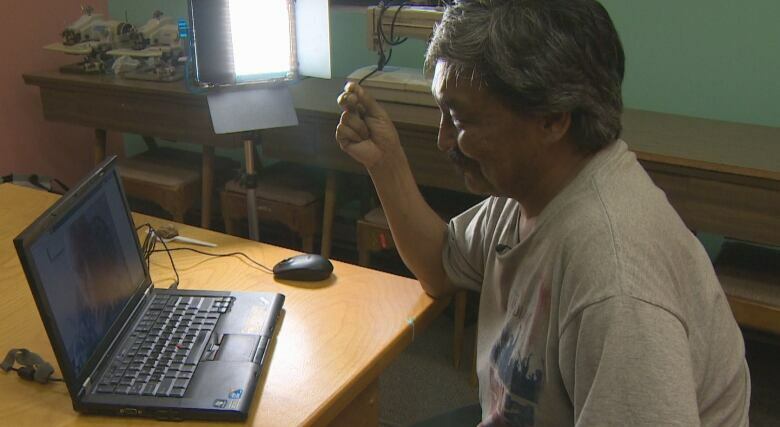 He also has over 14,000 Twitter followers who know him through his Inuk word of the day efforts, in which he shares one new Inuk word each day and explains what it means in English. Earlier this week, multiple women came forward on social media to say they've been on the receiving end of inappropriate direct messages from Andersen on Twitter and Facebook. Jessica Buckley says she received a message where he complimented her on a photo she shared, and when she asked which one, he said "the one you commented no bra." "I was grossed out," she told CBC News Friday. After Buckley shared her story on Twitter, she said she heard from dozens of other women who had experienced similar behaviour from Andersen. She said she decided to speak out after seeing Andersen covered in the media for his activism, including in several articles published by CBC News. "I just would like people to understand that I fully am aware of the cultural value of what he does and the importance of it. But it's no excuse for using his platform in such a way and for just making people uncomfortable, sexually harassing them." Andersen initially claimed he had been hacked after Buckley's thread gained attention on Twitter. But on Saturday, he admitted to sending the messages, asking for forgiveness and apologizing to the women he had targeted. 1) I want to APOLOGIZE about the DM's I have done. I apologize to the ladies, I apologize wholeheartedly and it was WRONG for me to have done this. I also apologize to followers of Inuk word of the day" its was wrong. IF you chose not to follow this project, I understand. He declined to comment further when asked for an interview by CBC News.